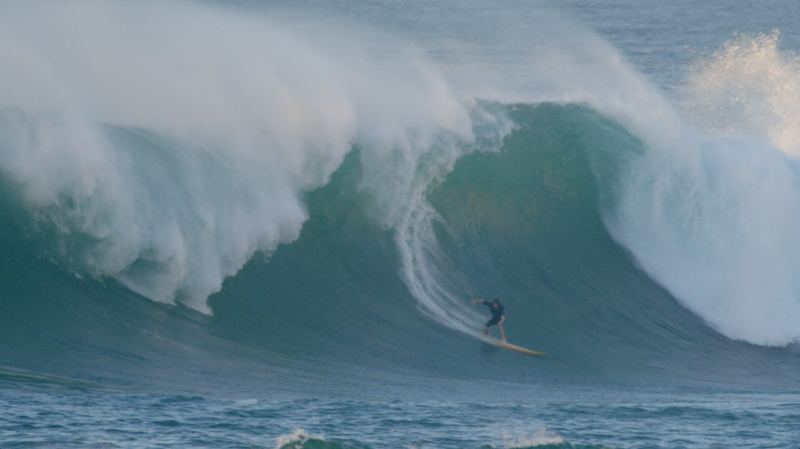 This sounds obvious, but even many big wave pros don’t surf when the waves are terrible. This could be a terrible mistake. Nothing keeps you in tune better than surfing, and even when it’s small, you’re going to be working on your timing, cardio, technique, positioning, and that intuitive connection with the ocean that allows you to snag the best waves. Rather than relying on a survival approach, you’ll be taking the safer road, which is to not wipeout or get cleaned in the first place. Surfing is the best workout when there are waves, but if it’s flat, or you live away from the ocean or close to breaks that offer little paddling practice on diminutive days, take up a routine that gets your heart pumping for extended periods of time. Twenty minutes or more of aerobic activity that keeps your heart rate at 75 to 85 percent of your maximum heart rate is generally what experts recommend to increase your cardiovascular capacity. Mountain biking, skateboarding, circuit weight training, dirt biking, swimming, rock running (always do with a spotter/partner for safety) and paddling both prone and standing are all common training activities of the big wave community. Doing a skilled activity that gets your endorphins up may risk injury, but it will prepare you synergistically in a both physical, and mental way. Incorporating coordination is smart too, as you’ll improve your reflexes simultaneously. Playing tennis with an athletic partner, for example, can help improve your reflexes and clarity of thought while your heart rate is high. Core strengthening—especially of the lower abdominal muscles—both increases your power and balance and helps prevent back injuries. 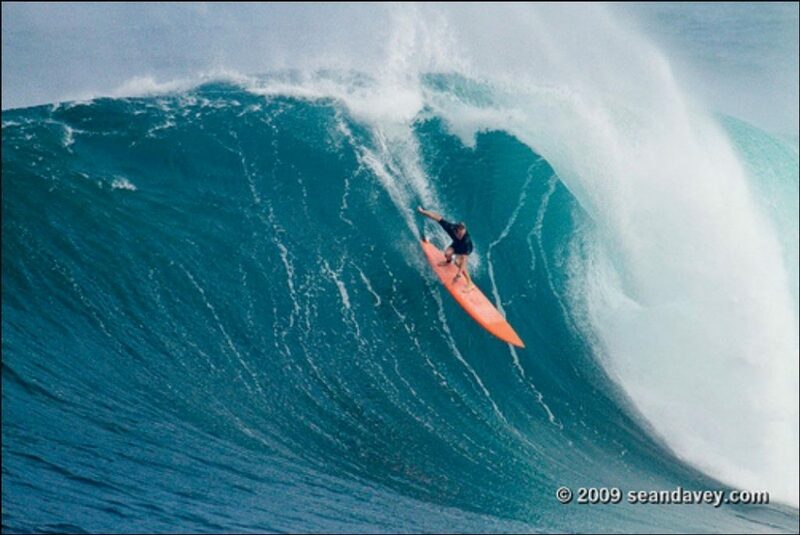 You’ll be wishing you had a six pack when a wipeout on a bomb leaves you rattled to the core. Kelly Slater claims to have practiced holding his breath before bed as a kid. Practice has taken me from a 1:30 breath hold as a teenager to a 2:45 at 33. Practicing holding your breath can be dangerous underwater, leading to shallow water blackout, so always go with a partner who watches and is ready to assist you if necessary. Some diver’s blackout on the surface after emerging from a challenging free dive, so never assume your partner is ok until they are swimming again and breathing steadily. Obviously, wait until they are ready before you perform your own dive, and stay within your limits and theirs. It’s best to increase your breath holds by doing reps, not by maxing out. Do at least twenty dives where you only push yourself to about 1/2 or 3/4 of the time you could potentially spend under water. If you feel dizzy or lightheaded, stop and take a break or call it a day. Use good judgement here. 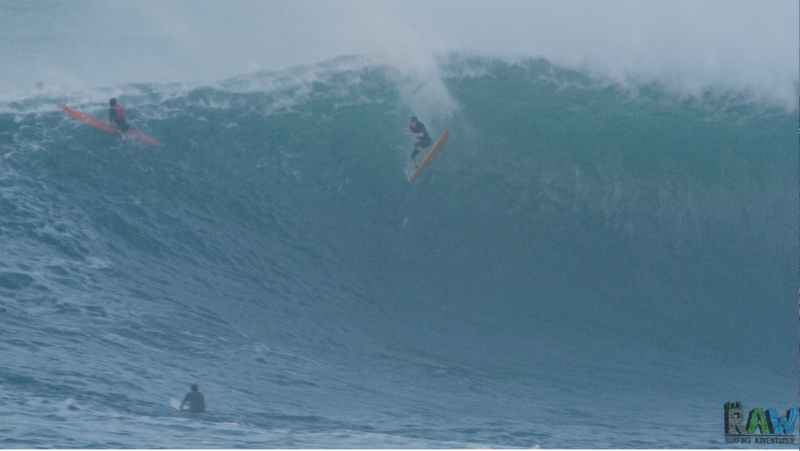 Jay Moriarity, Mavericks legend, passed away from shallow water blackout while training. Indo Boards and other balance training tools, including professional devices like the Power Plate, can be a great way to help keep you on your feet when you go for a late drop. You are what you eat. If you want to perform your best, you must be hydrated and nourished properly. Eat a variety of foods and avoid filling up on empty calories (foods little nutritional benefits). Even if you don’t get fat because of all the surfing, you will be forgoing the opportunity to maximize your body’s outputs. Specifically, you’ll miss out on muscle mass and energy. Use proper leashes and any safety gear you feel comfortable wearing. Check your leash for cuts or dry rot. A helmet may not make you look like Joe Cool, but it can prevent concussions and serious injury. Vests only do so much if you’re not conscious. Meditation helps you control your nerves by assisting you in replicating comforting conditions in your mind. If you practice calmness at home, it will help you do so again when things get heavy in the surf. Big board’s use a lot of muscle to horse around, and you tend to paddle them with your arms in a wider position. It helps to paddle your biggest board for exercise, or even ride it at mushier spots prior to a would-be cold turkey, serious session. 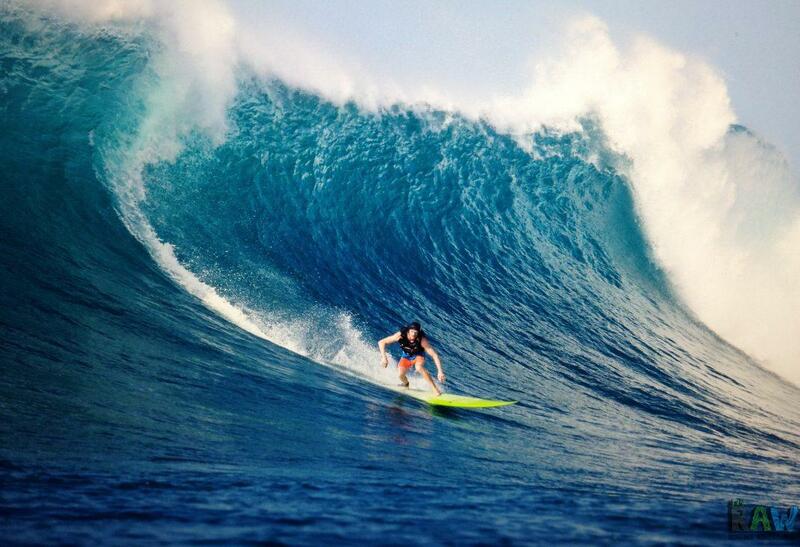 Always give big waves an extended check to assess the conditions fully before you commit. Read NOAA buoys often and learn to interpret them yourself by comparing their data and your own results over time. Matt Bender is a freelance writer, substitute teacher, and an avid big wave surfer. He is neither a doctor nor a trainer, and this article is meant for suggestive purposes only. Neither he nor Raw Surf will not be held liable for any person who is injured or killed subsequent to reading this article. Be careful and know your limits. When in doubt, don’t go out.